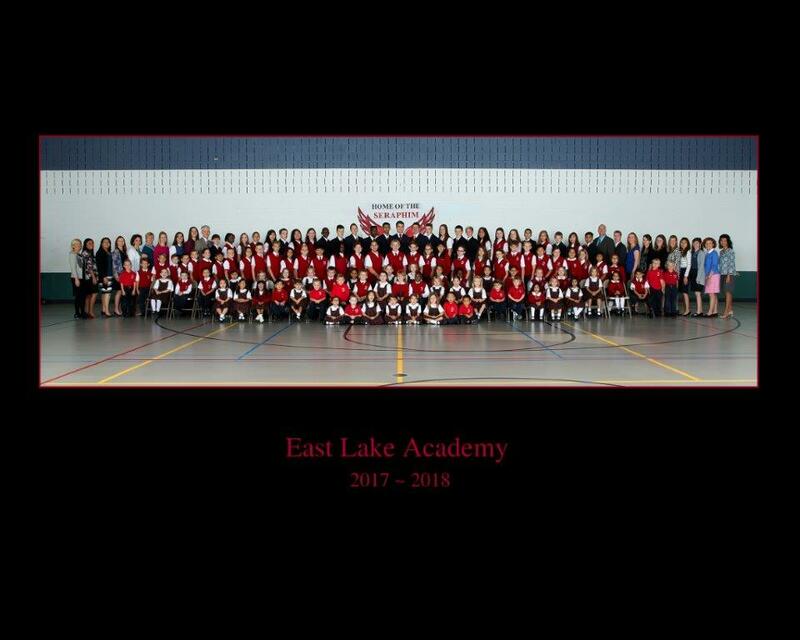 Who would have thought that by 2017, the first East Lake Academy graduating class would be in their senior year of college? In this monumental year we celebrate our graduates, their families and a time-tested curriculum with proven results. 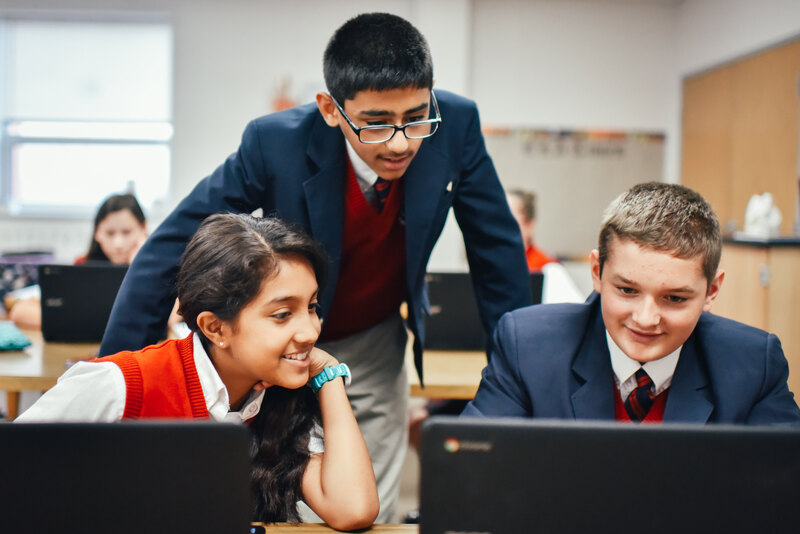 Graduates from East Lake Academy consistently attend high schools of their choice and go on to top universities like Notre Dame, Northwestern, Georgetown, Cornell, Marquette, Catholic University of America and the list goes on. 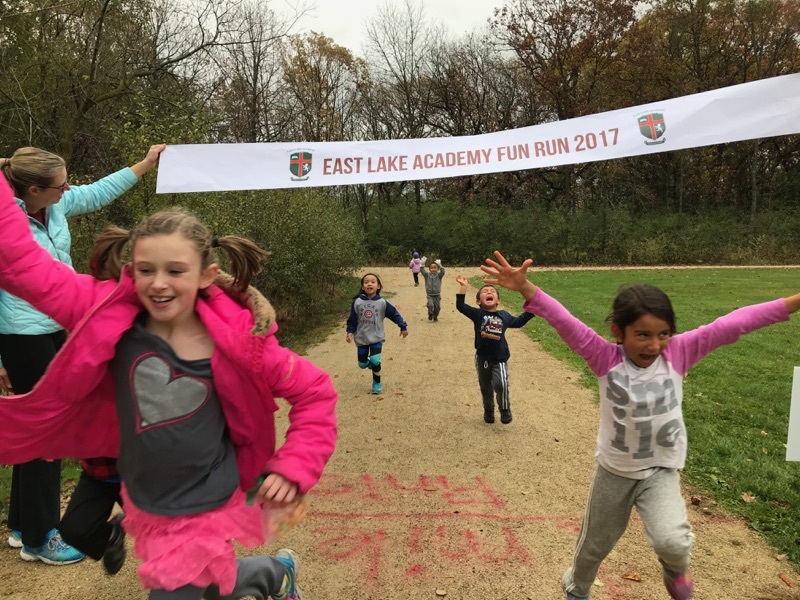 These graduates go ..
East Lake Academy Family Annual Fun Run was held on Sunday, November 5th at Old School Forest Preserve in Libertyville. This year the event included, "Outrun the Gym Teacher Challenge" with 1 mile and 5K races. 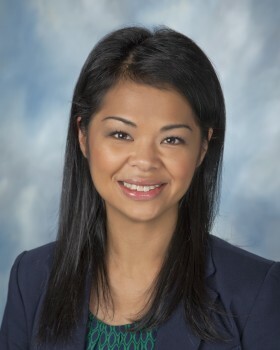 The event was organized by the Rancourt Family of Lake Forest and the Doles Family of Gurnee. Every detail was considered including a banner finish, East Lake Academy chocolate bars, awards and good food to share. Cross Country is a big sport at ELA for 4th through 8th grade. The Fun Run .. 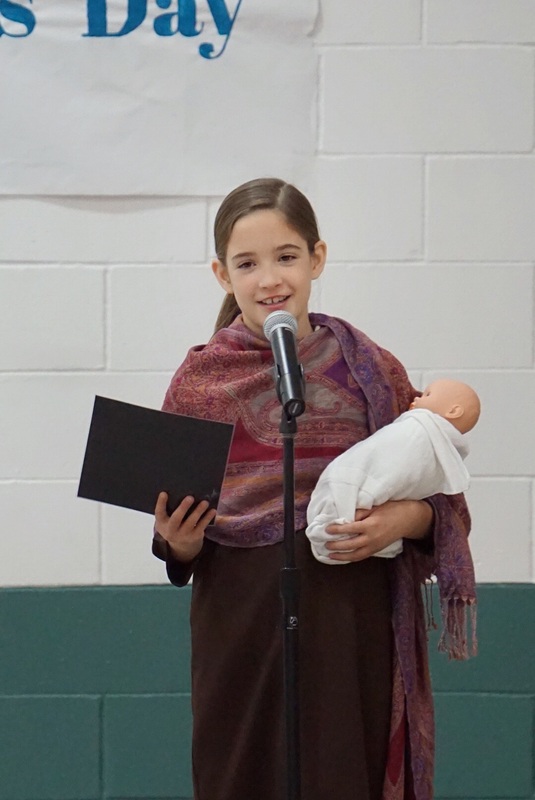 The All Saints' Day Pageant is a special annual event for East Lake Academy families. Student's in Pre-K 3 through 5 dress up as a saint and present that saint through a song, poem, or speech. In addition, this year the 6th grade class enacted the story of St. Joan of Arc. 7th grade performed the song, "Sound of Saints" as an eighth grader accompanied them on the guitar. 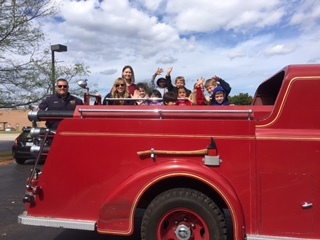 The 8th graders, instrumental in the organization of the production, emceed the program with entertaining small skits in..
Work hard and play hard, the Kindergarten annual Fire Truck Ride is an East Lake Academy tradition. It was a beautiful day to ride on the truck and honor those who bravely take care of us in times of trouble. 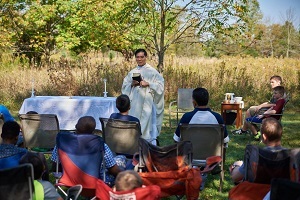 30 ELA dads brought their sons out to the annual Father/Son Camp Out a beloved East Lake fall tradition which ends in Mass on Sunday. A big thanks to all the dads and Father Brett for organizing the event. 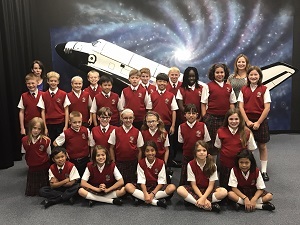 4th and 5th grades spent the day in STEM activities at the Challenger Learning Center, an East Lake Field Trip favorite. Applying knowledge from the classroom into real world simulation, is a vital part of learning. Yesterday, the students rendezvoused with a new long period comet that they named after themselves Comet BB-24! 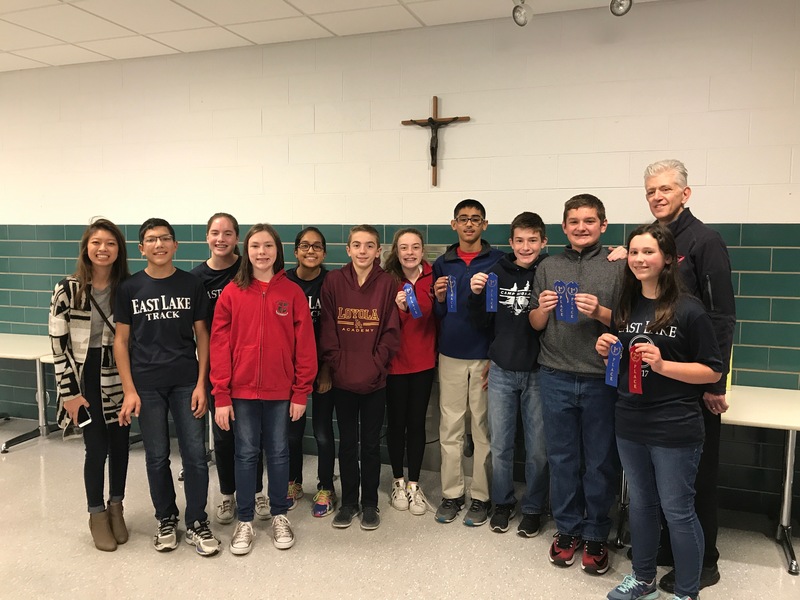 The mission was a complete success as students performed hands-on Science experiments and team building activities in order to conclude their mission successfully. Student..
Prevention Tips for Avoiding Head Lice Teach avoidance. Lice crawl and very slowly at that! They do not jump from one person to the next. Head-to-head contact is the quickest way to get head lice from an infected person. Kids hug. They lean in close to tell secrets. They put their heads together to have conversations in loud hallways and on noisy buses. The first step in prevention is teaching children to keep their heads away from other people. Lice cannot crawl from one head to the next if th.. The Annual ELA Father/Son CampoutSeptember 24th-25th5605 Monches Rd.Colgate, WI 53017You’re invited to the annual ELA Father/Son Campout. This is an annual event that is a great opportunity to bond with your son as well as other ELA dads and their sons. You can arrive any time after 1 PM on Saturday the 24th. We will provide dinner, s’mores, and breakfast the next day along with snacks. Father Michael will be joining us and leading us in Mass on Sunday the 25th. Our location this year is on ..
Charles Kolterman - Eagle Scout Project at ELAThank you to Charles Kolterman for your dedication and hard work on your Eagle Scout project at East Lake Academy this summer.We are so appreciative of Charles' wonderful design and installation of a flag pole, landscaping and retaining wall at ELA! Charles, age 17, is a 2016 graduate of Libertyville High School and a member of St. Joseph's Troop 60 in Libertyville.The idea was generated by Steve Gerber, an ELA parent, and grew with the expertise of ..
ELA 6th Grader Gigi Young Wins Midwest Section Championship for Synchronized Ice Skating Gigi’s enthusiasm for ice skating began when she was 7 years old. 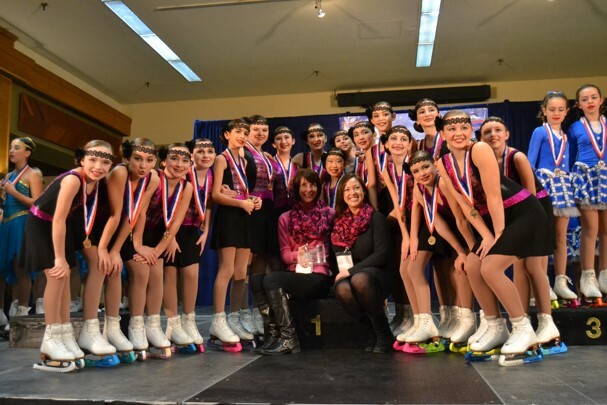 She began competing in solo performances and later decided to join a synchronized skating team and fell in love with the sport. Since then, she has spent several hours each day training on and off ice to stay competitive. Skating has been a HUGE commitment and has required tough decisions with time management to balance school and ska..